This hub is in no way intended to promote or dissuade. 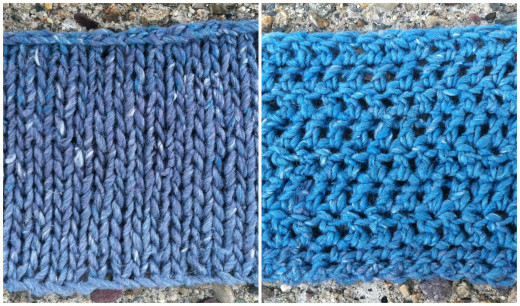 It is intended to share my experience using a particular yarn and hopefully provide useful feedback. When I saw this skein of yarn in the bag I was pretty excited. Visually it had a noroesque look while having a fiber content of silk, cotton, rayon and acrylic making it a great alternatives to those who are allergic to animal fibers but wanted that raw fiber look. The yarn is self striping which makes it something I knew I would enjoy. The colors transition from a subtle muted nature to a slightly vivid hue which I found pleasing to the eye. My initial thought was "Hmmm... this could be pretty interesting to work with." 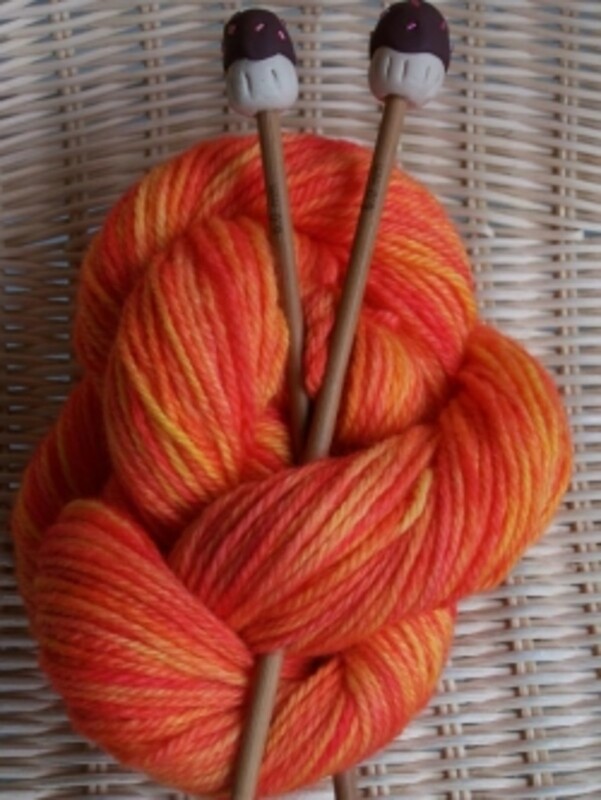 I sat looking at the skein this way and that way trying to imagine what I would make with it. Usually I look at a yarn and ideas springing to mind but this one stumped me. The raw look to the fiber, while having visual and textural interest, left me at a loss. I found the coloration well constructed and the gradients inviting which made me want to use the yarn. The texture of the yarn is quite different from what I am usually drawn to which, I think, is part of what gave me a bit of brain freeze. This was truly a first for me. "What would I use it for? ", is the question I kept coming back to. When I swatched this yarn I actually did it after I worked the project. I broke my own cardinal rule of swatching first. I should have followed my rule since it would have saved me frustration as I worked the cowl. I did two swatches. One in crochet and one in knit. Anyone who knows me, knows my passion is for knitting. 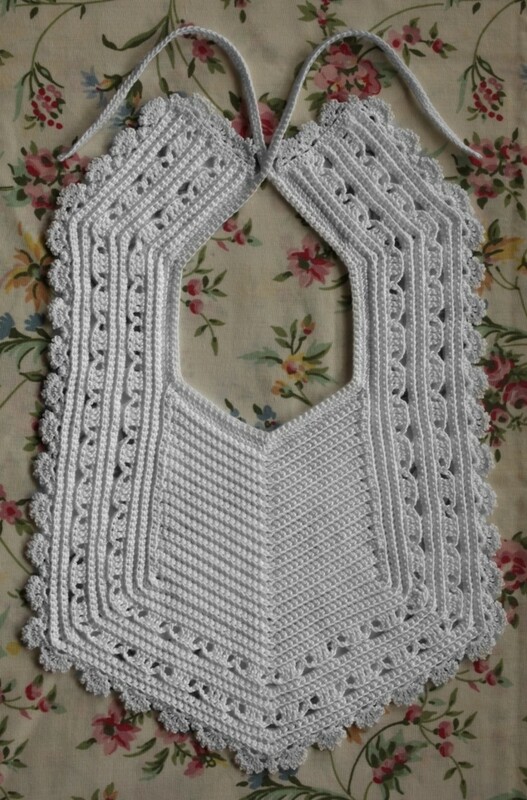 I enjoy crochet and can make pretty much anything you put in front of me I just find knitting more to my liking. When it came to this yarn I actually found I liked it better for crochet than knitting! Don't get me wrong the yarn does make an attractive item when knit and I really wish I had more so I could have crocheted a complete project with it for a really in-depth comparison of how it worked in both forms. For the crochet swatch: I was pleasantly surprised at how much of a different experience it was to work with this yarn in crochet . The lack of stretch to the yarn really worked with crochet nicely. I found the yarn moved quite easily in this medium. 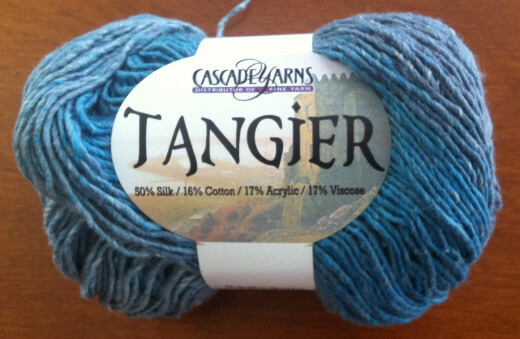 If I come across Tangier again I may just pick up a skein to do a one skein project in crochet to see how I like working with it for longer than a swatch. When it came to the Abuse Olympics the yarn was a bit on the lacking side. While it tinked (unknit) quite easily and without issue it did not take well to frogging at all. Two frogs and the frogged portion was full of pills. I did find that the yarn did knit extremely easily in garter stitch during the Olympics. Which broadened my thoughts on various uses for this yarn. 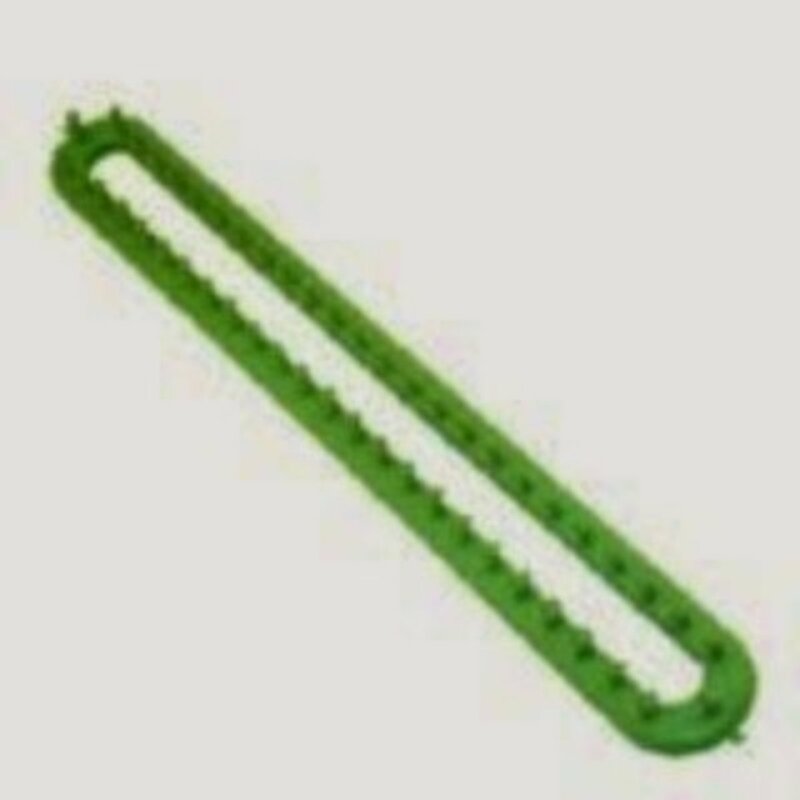 I can definitely see it used in domino/mosaic knitting. The self striping nature and interesting texture of the fiber would lend extremely well to them. The other thing the Olympics taught me was DO NOT under any circumstances reduce the high level of twist on the yarn in any way (especially when doing a long tail cast on.) The yarn stays together because of the twist. As soon as it untwists enough the yarn come apart like you are pulling on cotton candy. You know how if you gently pinch and pull on cotton candy a piece will just separate? That's what the yarn will do when it untwists. It happened to me twice. The first time I thought it must have been a bad spot. The second time I realized it was the yarn untwisting as I cast on that made it happen. This is an easy thing to avoid but you need to know about it to avoid it. For a full project I decided to go with the Tangier Cowl. The project called for one skein which was perfect. Working with the yarn took some adjustment. First it has an extremely high degree of twist to it. There are no plies to the fiber just one solid spun mass which kept spinning tighter as I worked. I had to adjust how I worked with it to prevent the yarn from spinning tighter and tighter on itself, while at the same time making sure I did not untwist it. Second, this yarn has definite variations in thickness. This is something where personal tastes will definitely come into play. My personal preference is for yarns with uniform thickness. With that said I will admit from an artistic perspective the variation in thickness gives an added dimension of visual interest to the fabric. Third, I found it moved differently in my hand than other silk/cotton, silk/cotton/acrylic blends I have used. I found it did not move as quickly as I would have personally liked it to in my hand (with the exception of with crochet.) Again, this is a matter of personal preference. For someone who likes a yarn to move slower, so there is a higher level of control, this would be a plus. For someone like myself who wants yarn to move quickly this is a bit of a detraction. It was quite humid while I worked this project so I am wondering if that impacted the cotton content and contributed to the level of drag. Not sure but it is something I do wonder about. Lastly, there is no give to this yarn. Some yarns you can pull and it will stretch a little more and then go back. This is, what it is. I'm not calling this good or bad. It is simply a factor to get used to especially when working in ribbing. As the project worked on and I adjusted to the nature of this particular yarn, I did find it growing on me a bit. I thoroughly enjoyed the striping it produced. It was smooth and visually appealing. The finished stitches did have great visual interest between the raw nature of the fiber and the variations in thickness. Like I said, it grew on me. Not to the point where I am having dozens of ideas popping into my head and want to order bags and bags of the yarn, but enough that I did move from thinking "I'm really not sure I'm going to like this," to thinking "I can see using this again for the right project." In all honesty I can't say I love the yarn or that I hate it. This is definitely a yarn a person has to try for themselves and see if it works for their personal tastes and skill level. I do feel it is a good alternative to those who are looking for a particular look and want to avoid the expense of and/or need a non-wool based fiber which produces a somewhat noroesque fiber texture. Considering you would need two skeins of Noro Silk Garden (110 yards each) to equal one of the Tangier (220 yards each) the price on this is pretty good comparatively. I do need to say the color palettes, the color hues and the patterning within the two yarns are very different. I have to give Cascade yarn credit in this regard. The fibers look similar but the coloring is quite different. So Cascade really did make this their own. All in all I would give this yarn a 3.5 stitch marker review. It is a decent yarn overall. Just not one which jumps out at me begging to be used on a variety of projects. 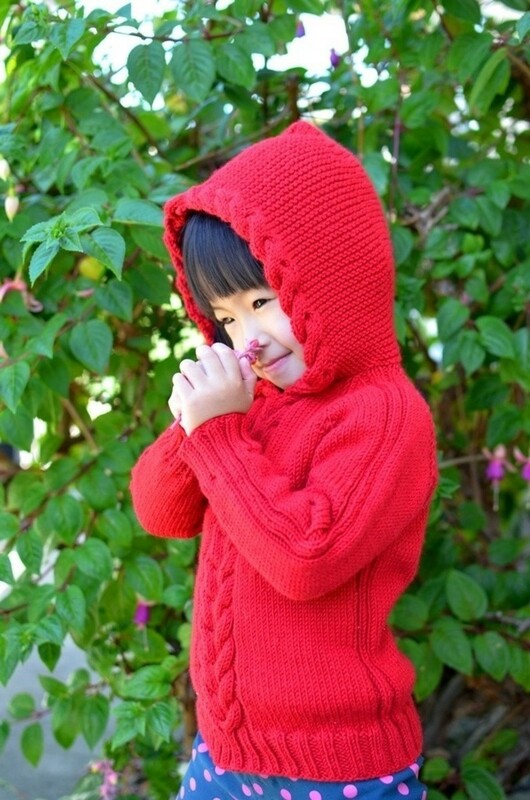 The yardage and colors are there which makes the pricing respectable for what you are getting. The yarn is suitable, in my opinion, for a variety of stitch patterns from simple to complex without the patterning getting lost. 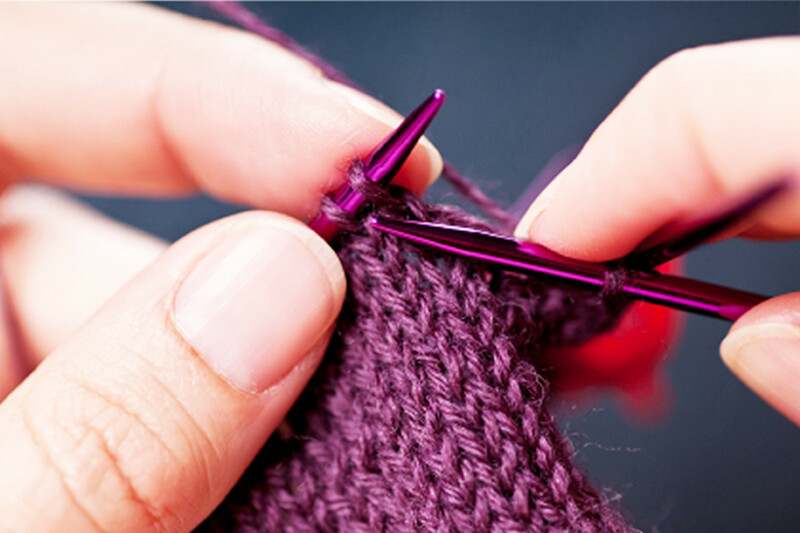 Just make sure you understand how to work with this particular yarn before really jumping into your project. In the end I found myself having to adjust to the fiber a bit more than I would have liked. What Do I Need to Start Crocheting?